There are some updates which have been added at the bottom…..
Xiaomi has a lot of devices inside their portfolio. If we just restrict ourselves with the phones and tablets they are making, still it’s a huge number. Considering the vastness, the company maintains a pretty good record of updating them and bringing new features to its own skin, MIUI. MIUI itself started its journey as a skin intended for aftermarket development of phones from other OEMs. Later on, Xiaomi started building phones and associated MIUI as an integral part of it. MIUI major versions don’t exactly follow Android’s major version formula. 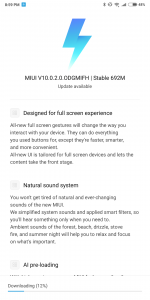 Though flagship devices usually get latest Android versions first, the MIUI version of it may cover another device’s lower numbered Android version. As for example, Xiaomi’s current design oriented flagship is Mi MIX 3 which runs MIUI 10 based on Android 9 Pie. The old-n-popular Redmi Note 4 is running MIUI 10 as well, but it’s based on Android 7 Nougat. We have briefly discussed about Xiaomi’s stance about update policy earlier, but their own forum is never known for good UI/UX. New firmware announcement threads are buried under other posts, sticky threads are not properly updated and as a final take, the download portal isn’t updated regularly after the massive redesign. XDA Recognized Developer yshalsager and his contributions towards Xiaomi Firmware Updater project to fix these cumbersome affairs are already praised by us and others. To take it further, a completely revamped website (xiaomifirmwareupdater.github.io or xiaomifirmwareupdater.com) has been launched by him and XDA Recognized Developer berkantkz AKA Berkant Korkmaz. The site will serve as an central index of device specific individual pages that are internally used previously by the tracker scripts. The devs moved to Jekyll as static site generator which will greatly optimise the content rendering. Hammering GitHub APIs is deprecated too, and a new periodic update polling mechanism is added instead. 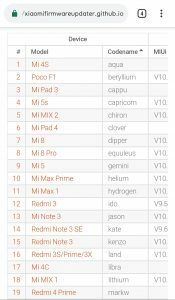 For the end users, there is a page for every stock ROM for devices supported by Xiaomi. Be it from Global release or Chinese, on stable channel or public beta – users can navigate, choose according to their requirements and flash via updater or recovery. For flashaholics, version specific firmware updates are quite important to maintain compatibility. 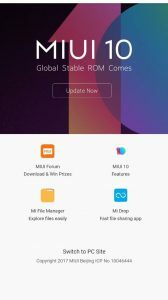 The site indexes every firmware zip for Qualcomm based Xiaomi devices that are automatically extracted from the main update package and packed by an CI task. And yes, you don’t need to worry about Xiaomi’s anti-rollback (ARB) mechanism. Users are advised to check out the FAQ to clear out doubts. The devs are open to suggestion and kindly asking for contributions and bug reports via Telegram or GitHub or XDA. They are still adding features on the site and doing fixes here and there. How often are you manually looking for firmwares for your phone? Comment below and let us know. If you are into custom Android kernels, we have big news for you. Popular custom Android kernel developer Fracisco Franco (@franciscof_1990) has revealed his new download portal for the supported custom kernels. Do take a look at our story here if you want to improve your device’s battery life.